Most Submitters (Muslims) do not fast because of medical benefits but because it has been ordained to them in the Quran. The medical benefits of fasting are as a result of fasting. Fasting in general has been used in medicine for medical reasons including weight management, for rest of the digestive tract and for lowering lipids. There are many adverse effects of total fasting as well as so-called crash diets. Islamic fasting is different from such diet plans because in Ramadan fasting, there is no malnutrition or inadequate calorie intake. The caloric intake of Muslims during Ramadan is at or slightly below the national requirement guidelines. In addition, the fasting in Ramadan is voluntarily taken and is not a prescribed imposition from the physician. Ramadan is a month of self-regulation and self-training, with the hope that this training will last beyond the end of Ramadan. If the lessons learned during Ramadan, whether in terms of dietary intake or righteousness, are carried on after Ramadan, it is beneficial for one’s entire life. Moreover, the type of food taken during Ramadan does not have any selective criteria of crash diets such as those which are protein only or fruit only type diets. Everything that is permissible is taken in moderate quantities. The only difference between Ramadan and total fasting is the timing of the food; during Ramadan, we basically miss lunch and take an early breakfast and do not eat until dusk. Abstinence from water during this period is not bad at all and in fact, it causes concentration of all fluids within the body, producing slight dehydration. The body has its own water conservation mechanism; in fact, it has been shown that slight dehydration and water conservation, at least in plant life, improve their longevity. The physiological effect of fasting includes lower of blood sugar, lowering of cholesterol and lowering of the systolic blood pressure. In fact, Ramadan fasting would be an ideal recommendation for treatment of mild to moderate, stable, non-insulin diabetes, obesity and essential hypertension. In 1994 the first International Congress on "Health and Ramadan," held in Casablanca, entered 50 research papers from all over the world, from Muslim and non-Muslim researchers who have done extensive studies on the medical ethics of fasting. While improvement in many medical conditions was noted; however, in no way did fasting worsen any patients’ health or baseline medical condition. On the other hand, patients who are suffering from severe diseases, whether diabetes or coronary artery disease, kidney stones, etc., are exempt from fasting and should not try to fast. There are psychological effects of fasting as well. There is a peace and tranquility for those who fast during the month of Ramadan. Personal hostility is at a minimum, and the crime rate decreases. This psychological improvement could be related to better stabilization of blood glucose during fasting as hypoglycemia after eating, aggravates behavior changes. Recitation of the Quran not only produces a tranquility of heart and mind, but improves the memory. Therefore, I encourage my Muslim patients to fast in the month of Ramadan, but they must do it under medical supervision. 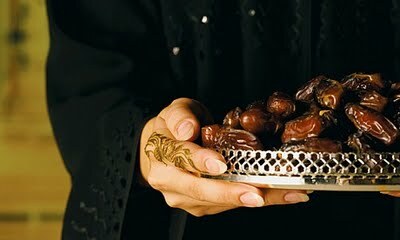 Healthy adult Muslims should not fear becoming weak by fasting, but instead it should improve their health and stamina.